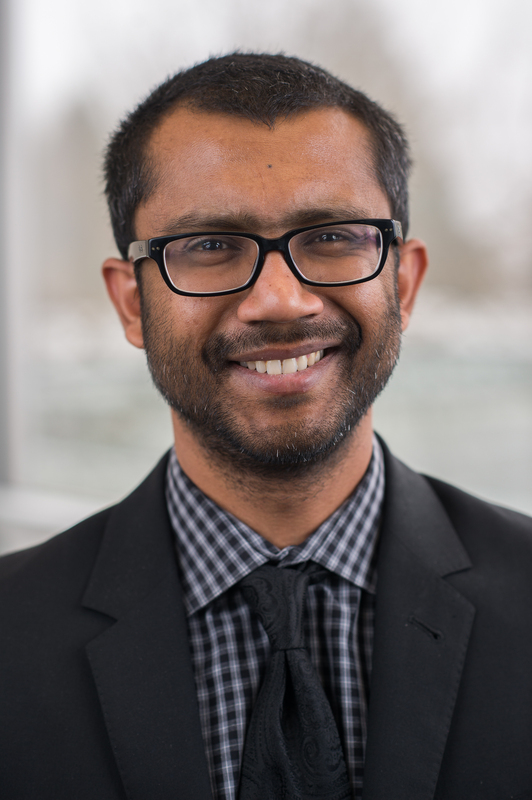 In this post, Assistant Professor Arjun Chowdhury‘s provides insight into his research and writing process, and explains the central argument of his new book and why he took on some of the biggest thinkers in the discipline. What is the central argument in your new book? The central argument of my book is that we should expect the majority of states in the world to be ‘weak’ states – states that cannot monopolize violence or deliver the services their citizens expect – and yet despite this inability of states, we will not see the development of viable alternatives to the state. I explain that this outcome and the problems associated with it – long civil wars, low rates of taxation, multiple challenges to state authority – are the result of the long-run development of the international system, specifically the decline of interstate war and colonial conquest. Weak states, far from being an aberration to the ‘normal’ course of development, are a product of that development. For better or worse, we will continue to live in a state-dominated world where most states are weak. What knowledge gap were you looking to address when you began your book? 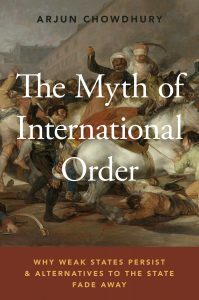 When I began the book, I wanted to provide a theory of state formation that applied to the international system as a whole, rather than state formation in particular regions like Europe or Africa. What do you hope this book will add to our understanding of current events, political phenomena, societal issues, etc? State weakness or low state capacity is at the root of several foreign policy problems: civil wars, low rates of economic growth, and poor health outcomes. But at its most fundamental, state weakness means that the people within a given society are unwilling to give up the means of violence and/or unwilling to pay taxes. My book explains that over history, people have only given up the means of violence and paid high rates of tax under the threat of costly interstate war. As the costs of these wars escalated in the first half of the twentieth century, the type of war that drove state formation in Europe has become unlikely to occur in the contemporary world. At a policy level, my book should make us wary of foreign aid and armed intervention: neither of these address the fundamental problem of state weakness, and, in many cases, are likely to worsen it. What motivated you to focus your scholarship on this topic? I began thinking about this topic because I was frustrated by the logical implication of the terms ‘weak states,’ ‘failed states’ and so on. The policy implication was an unwarranted optimism that state weakness could be fixed through ‘nation-building’ like the disastrous US invasion of Iraq. I thought it was bizarre that we as a scholarly community could look at 70% of states in the world and say these are anomalies, and that the 30% of European and North American polities are the norm. How could the minority be seen as normal and the majority seen as abnormal? This made no sense to me. So I began with the goal of explaining the opposite claim: weak states are the norm over time and at any given time. What scholarship inspired you to undertake this project? I was inspired by but also wanted to challenge the heavy hitters of social science: Charles Tilly and Miguel Centeno on state formation, James Scott on the limits of state power, Ranajit Guha on peasant rebellions, Douglass North and Daron Acemoglu on the origin of inclusive institutions, James Fearon and Stathis Kalyvas on the dynamics of war. What was your initial idea for the book, and did this change over time? The initial idea did not change all that much – I was still trying to explain why we should expect weak states to be the norm – but I did broaden the scope to take in topics I had not addressed in my dissertation, namely taxation, welfare provision, civil wars, and the rise of human rights movements. What was the strategy for your research process? Unlike what I advise graduate students, I did not have a clear and determinate research design for this project. I am guilty of not following my own advice! This meant the research process was very messy and inefficient, not to mention long, because I had not predicted problems that, in hindsight, would have been fairly easy to anticipate if I had a determinate research design. What data did you collect? My primary sources were descriptions and reflections of change in the role of the state in war-making, economic policy, and other areas. In addition, I used secondary sources and data collected by others. This is usually not advisable, but given that I was addressing a range of diverse topics and how much solid data has been collected and made available in the last 15 years, this was the best choice. What was it like to transform your dissertation into a book? Transforming a dissertation into a book means simultaneously broadening the scope of your argument – this is to satisfy the publisher who wants the book to appeal to as many audiences as possible – and tightening the argument – this is to satisfy reviewers whose primary motivation is to publish good work. I was lucky to have both a supportive publisher, Dave McBride at OUP, and really perceptive reviewers. I trusted their advice, implemented the changes they suggested, and consequently the book is much stronger than my dissertation was. What advice do you have about writing a book? Given it took me 8 years to publish this book, I am the last person who should provide advice on how to write a book! I can say what helped me most: I had outstanding mentors, Bud Duvall and Ron Krebs at the University of Minnesota, who supported me through the dissertation and beyond. Someone, I’m not sure who, said there is no such thing as writing, only rewriting. That describes my experience. After completing my dissertation, I wrote 3 drafts of this book over a period of 6 years. I learned a lot through writing. There’s a reason why we say a bad draft is much, much better than an excellent idea; by the time you work out the idea in any detail on the page, you often learn it was not so excellent to begin with! Hence the necessity of rewriting. Arjun Chowdhury is an Assistant Professor specializing in International Relations and Security Studies. He was previously a Postdoctoral Fellow at the University of Pennsylvania. He is the author of several articles and book chapters on international relations theory and international security issues. Photo credit: Arjun Chowdhury’s book cover, Oxford University Press. Original Image: Francisco Goya, The 2nd of May 1808 in Madrid or “The Fight against the Mamelukes”. 1814. Oil on canvas, 268.5 x 347.5 cm. Assistant Professor Cesi Cruz discusses her forthcoming publication in Comparative Political Studies, "Social Networks and the Targeting of Vote Buying". Assistant Professor Xiaojun Li discusses his forthcoming article in the Canadian Journal of Political Science, "Misperceptions of Chinese Investments in Canada and Their Correction: Evidence from a Survey Experiment", and his upcoming research on China-North Korea trade.